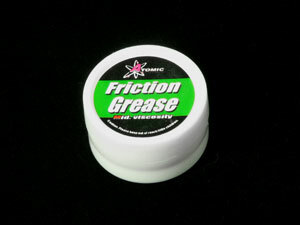 The feature of Friction Grease is twine and high viscosity. 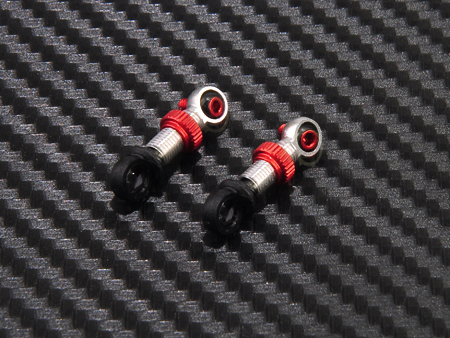 Provides the damping performance like a oil shock. 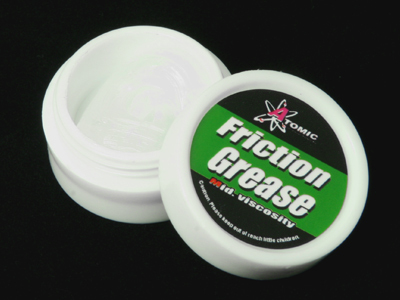 Use Cotton tips stick to apply friction oil on the shock pin. Insert the shock pin into the shock bodies then move them up and down several times in order to make sure friction oil is being thoroughly spread between shock bodies and pin. Assembly the spring and mount the oiled shock on the chassis.